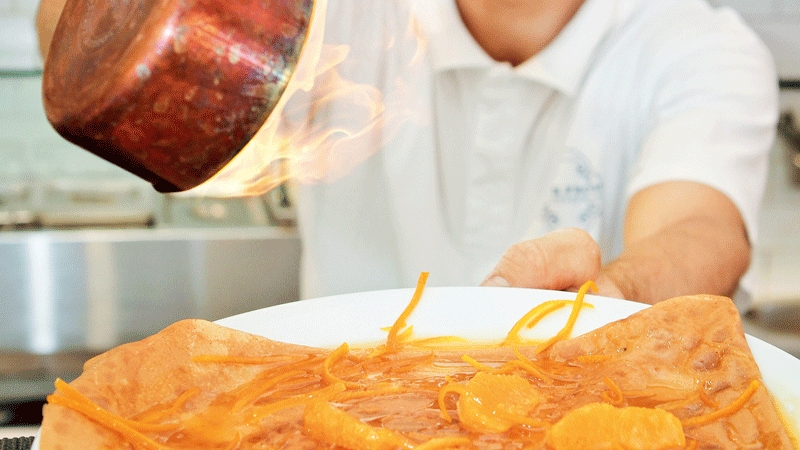 In France, we love our crêpes: sweet for dessert and savoury (we call them galettes) for a delicious meal. 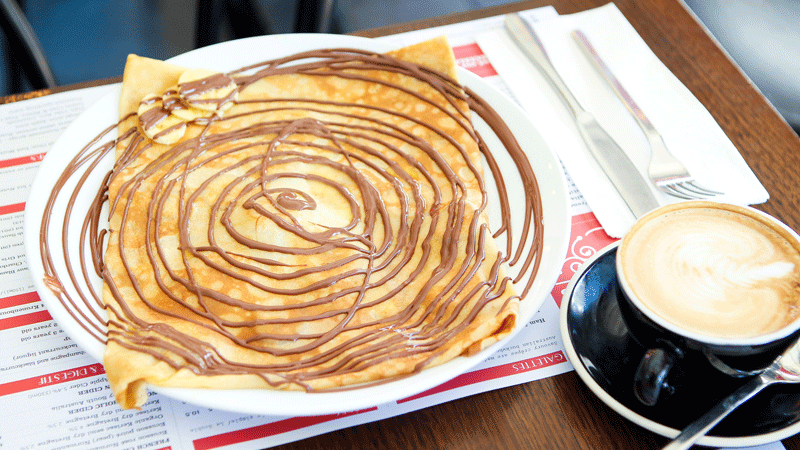 We have a variety of traditional French favourites and Aussie specialties on our French crêpes menu. Our Chefs create four monthly specials to surprise your taste buds and they always prepare some extra ones for special occasions like Valentine’s Day, Mother’s Day or Bastille Day. So don’t expect just the main menu, we have much more to keep you excited! If you want to know about our daily specials, don’t hesitate to subscribe to our monthly newsletter. 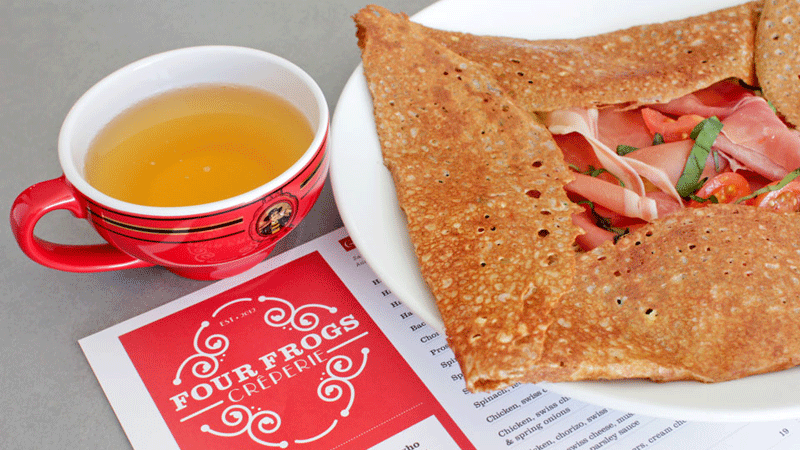 At Four Frogs Crêperie, we don’t cut corners in our cooking. We do everything ourselves to deliver the best ; also because it makes it much funnier and more interesting in the kitchen. For instance, we mill our own buckwheat flour, we make our milkshakes syrup, chocolate and salted caramel. All vegetables, sauces, slow cooked meats, etc. are also cooked in house. And obviously, our galettes and crêpes are always made “a-la-minute”! Click here to view our menu (current as of 01/01/2019). Our French crêpes menu offers a wide variety of sweet crêpes, savoury crêpes (galettes), salad galettes and crêpes flambées. 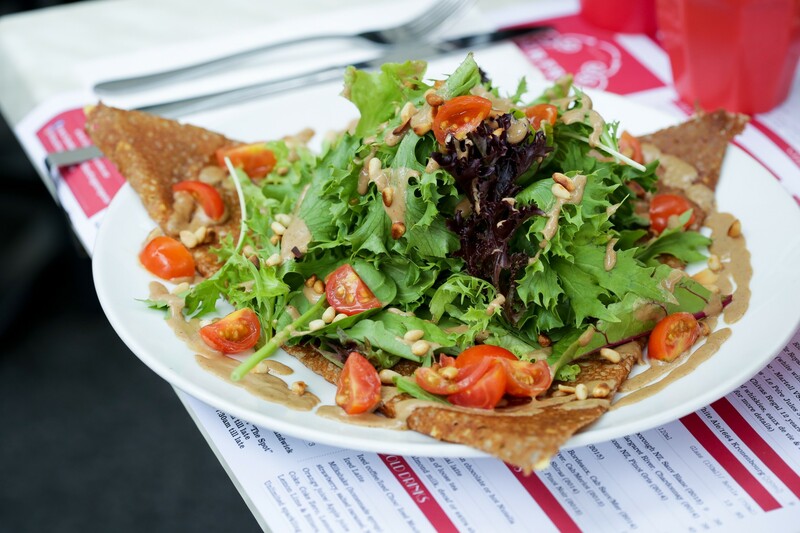 After 11:30 am, all galettes are served with a complimentary salad. 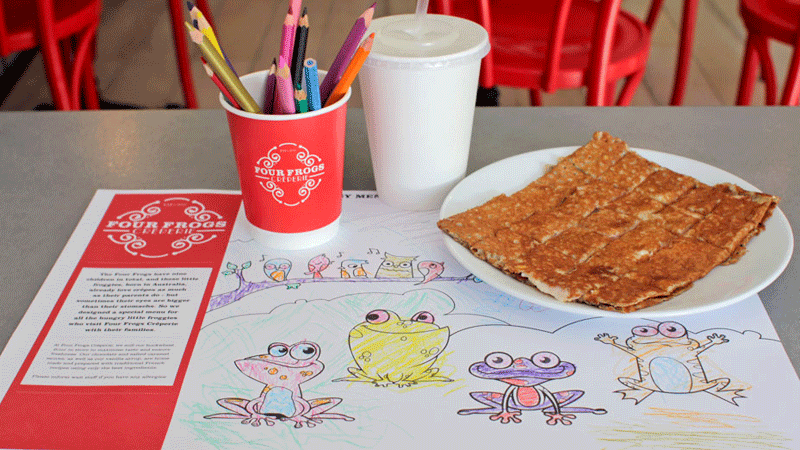 We also have a dedicated kids menu. We welcome functions and large group bookings up to 45 people. 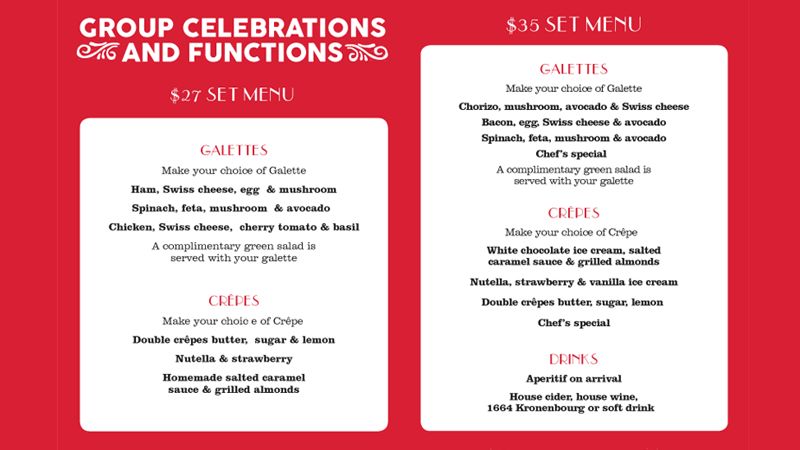 Our new group function menu starts at $27 per person. If you’d like to talk to us about your function or group event, please phone Four Frogs Randwick on 9398 3818 or contact us online.